A free and comprehensive pocket guide to first aid and emergency response. Download the app today for life saving skills at your fingertips. Our first aid and emergency app is designed to give people life saving skills at their fingertips. The free app features simple, easy advice on everyday first aid scenarios, tips on how to prepare for natural disasters and step-by-step instructions on what to do during an emergency. Preloaded content on the app means you have instant access to important first aid and emergency information, even without cell phone reception or an internet connection – anytime, anywhere. Today is a great day to refresh your first aid skills and get prepared for an emergency or disaster. Get simple step-by-step guides to help you deal with first aid emergencies. Learn first aid using easy-to-understand animations and videos. Use the app to contribute towards a workplace first aid certificate. Get local emergency numbers and ‘help’ phrases as soon as you touch down in another country. We're pleased to introduce m-learning (mobile learning) with the First Aid and Emergency App. Pre-course learning is now available via the app, which goes towards completion of a NZQA accredited first aid certificate. With mobile-learning, you can learn first aid theory at a time and location that is convenient for you, and reduce time spent away from the workplace. With guided interactive learning, including videos and animations, use the app to learn and understand the basics of first aid. 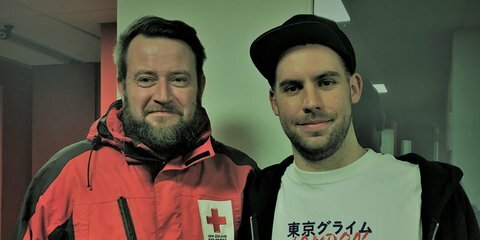 Follow up with a face-to-face practical skills workshop with a New Zealand Red Cross instructor to gain your accredited certification. Complete the app learning by reading the ‘Learn’ section and successfully completing the app quizzes. Unlock badges along the way to record your achievements. Simple, easy-to-understand advice and frequently asked questions on everyday first aid scenarios. Videos, step-by-step instructions and animations make it fun and easy to pick up. 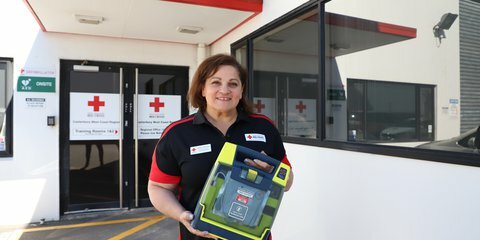 The APP features up to date CPR and First Aid guidelines as set out by the New Zealand Resuscitation Council. Get expert tips on how to prepare for some of the most common emergency situations. Includes checklists on how to prepare and tips on what to do during a natural disaster in accordance with Civil Defence. This instantly accessible, step-by-step section gives you just enough information to know what to do in emergency first aid situations and allows you to call local emergency numbers from the app. When travelling overseas displays local emergency numbers and key help phases. Complete the interactive quizzes and earn achievement badges towards your NZQA accredited workplace first aid certificate. This M-Learning option reduces the time needed in the classroom to complete your qualification and allows you to learn in a time and place that suits you. 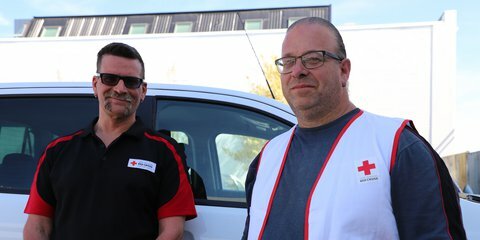 Find out more about the life-saving work of New Zealand Red Cross, including volunteering opportunities, latest news and information on first aid courses.